C. L. Hung, S. M. Meenehan, D. E. Chang, O. Painter, H. J. Kimble, ``Trapped atoms in one-dimensional photonic crystals.'' New Journal of Physics 15 083026 (2013). We will illustrate the use of scuff-em's Casimir-Polder module scuff-caspol by reproducing the results of Hung et al. 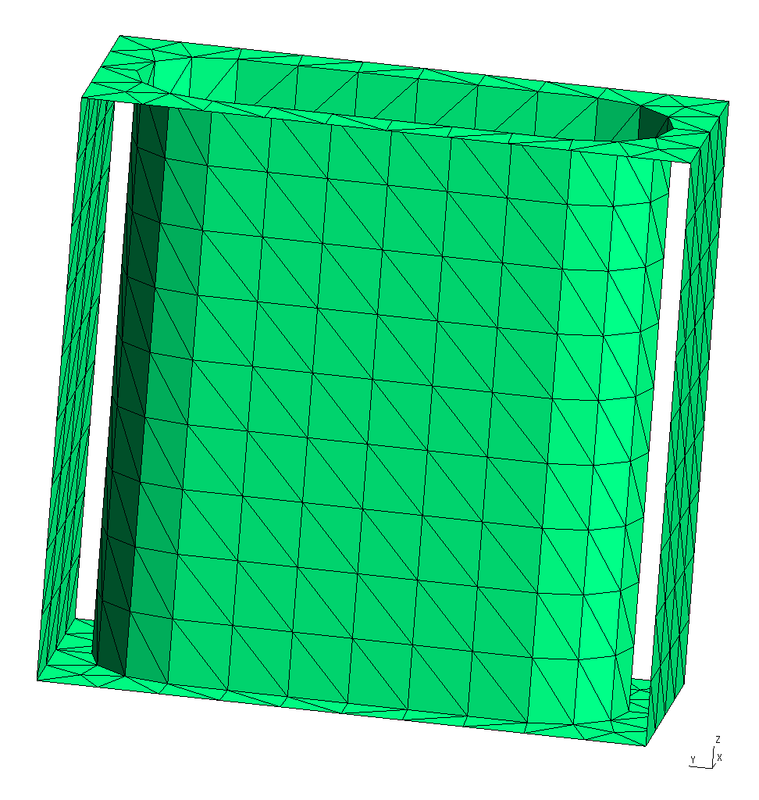 for a 1D lattice, then extend the calculation to the case of a 2D square lattice. The files for this example may be found in the share/scuff-em/examples/NanobeamCasimirPolder subdirectory of your scuff-em installation. For 1D periodic geometries in scuff-em, the direction of infinite extent must be the x direction. 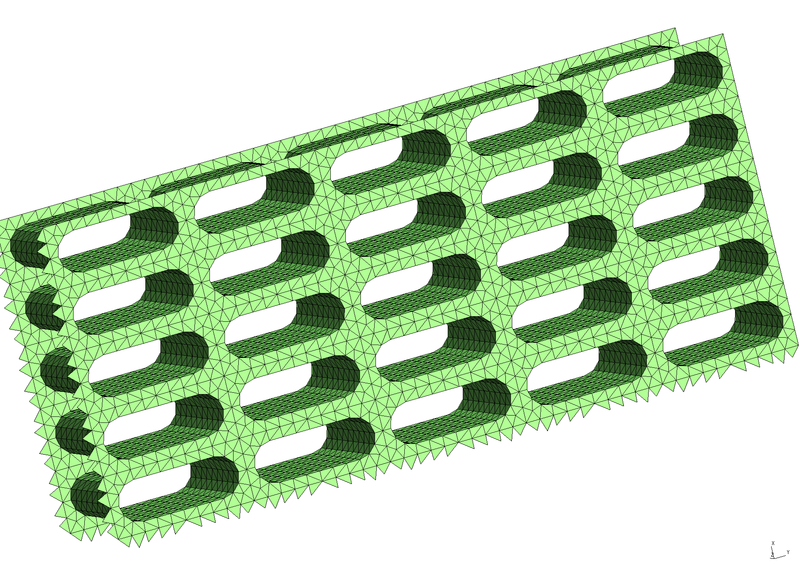 The sidewalls normal to the and directions are meshed, but the sidewalls normal to the direction are not meshed for this structure, because those surfaces are not interfaces between different dielectrics. For surfaces that straddle the unit-cell boundaries (as is the case here), each triangle edge that lies on the unit-cell boundary must have an identical image edge on the opposite side of the unit cell. An easy way to achieve this is to use extrusions in gmsh, as in the .geo file above. In this case the unit cell is 0.367 m long. This and other geometric parameters can be modified by editing the file UnitCell.geo or directly on the gmsh commmand line using the -setnumber option. 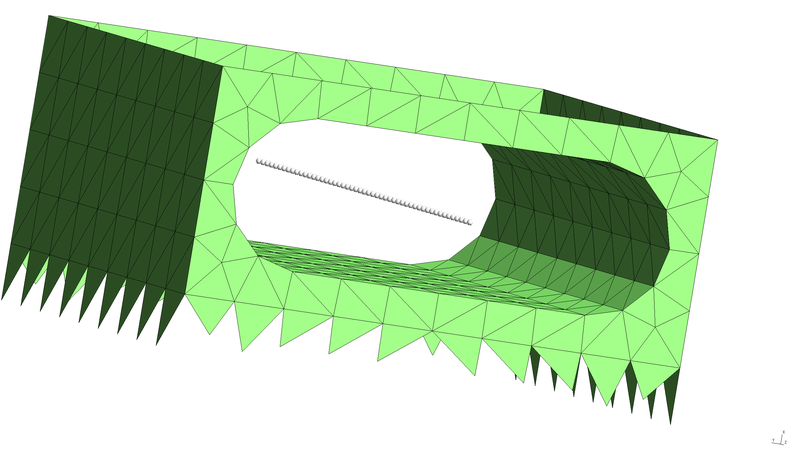 Note that the visualization file produced by scuff-analyze includes extra triangles (visible at the left end of the structure) that are not present in the unit-cell geometry. 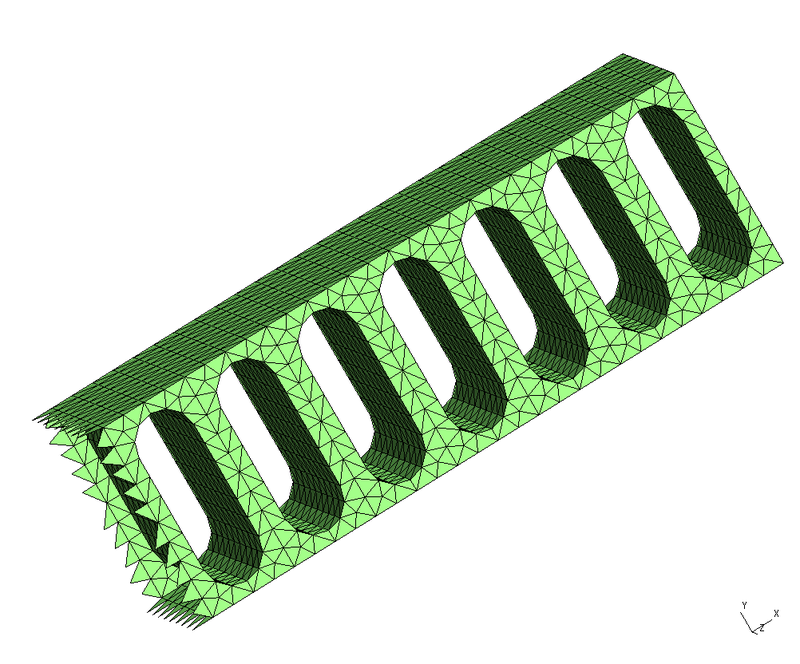 These are called straddlers, and they are added automatically by scuff-em to account for surface currents that flow across the unit-cell boundaries in periodic geometries. and defines a line of points running through the middle of the hole in the beam unit cell. This confirms that our EPFile describes a line of evaluation points running through the middle of the hole in the beam structure, as desired. These calculations will produce files named NanoBeam_1006.out and NanoArray_800.out tabulating the Casimir-Polder potential experience by the rubidium atom at each of the specified evaluation points. 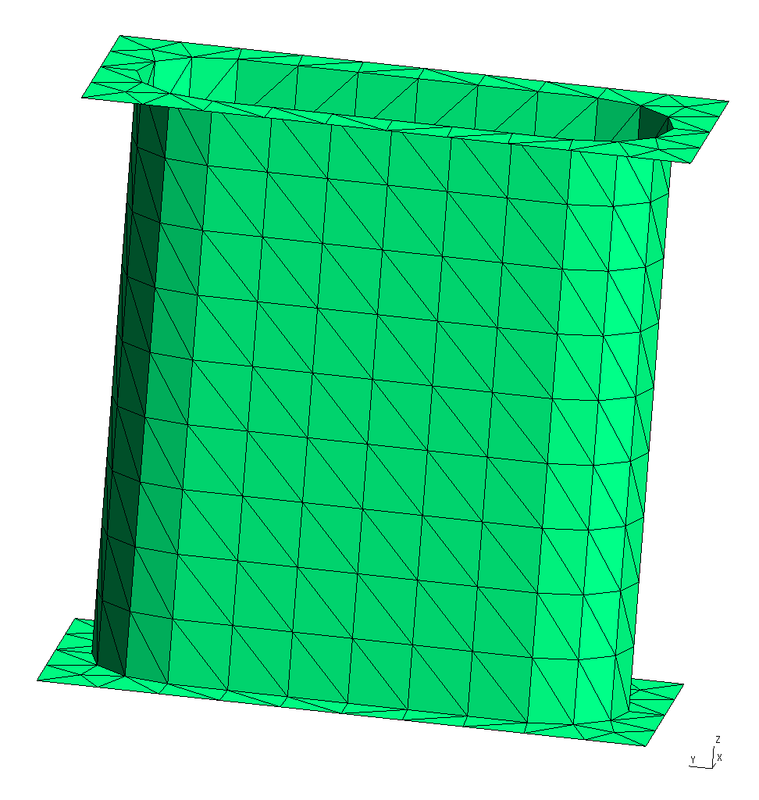 For more information on scuff-caspol, see the old scuff-caspol documentation, which is thorough and up-to-date (though it does not cover CP calculations in extended geometries) despite having not yet been ported from its previous format.